Trend Micro report shows eight-fold growth in ransomware over the course of last year. A new report from Trend Micro has revealed that the use of ransomware by cyber attackers increased by 752 per cent in 2016. In the last year alone, the security software company estimates that Locky, Goldeneye and other malware designed to extort a ransom from its victims earned attackers $1 billion. Although ransomware did the most damage to businesses and individuals in 2016, the threat of falling victim to this type of malicious code was maintained by the recent WannaCry attacks and by the Eternal Rocks worm that has no kill switch and continues to infect users. For those unfamiliar with the history of ransomware and how it rose to become the threat it is today, Trend Micro's report, Ransomware:Past, Present and Future, sheds some light on how it began in Russia between 2005 and 2006 along with an explanation of the business model behind ransomware-as-a-service (RaaS). RaaS has provided criminals who are unfamiliar with computer hacking a way to launch their own attacks by hiring code and renting out the command and control infrastructure need to pull off a successful cyber attack. 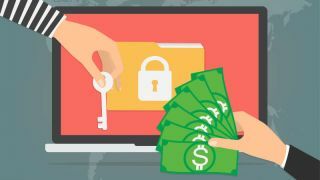 Organisations are often targeted by ransomware attacks over individuals because they need access to the files that have been encrypted by attackers to operate and will be more likely to pay the ransom needed to unlock their documents. Although many businesses were financially affected by the WannaCry attacks, they did at least help to spread information about ransomware and inform the public that such a threat is only a click away.